This is a Thank you card I made with stamps and papers from the Simon Says Stamp card kit October 2014. I paper pieced the mug and I stamped the greeing with letter stamps from Lawn Fawn. I used Colorbox chalk ink, Chestnut roan for the stamps. I also added some white ribbon (not in the kit). This is a long christmas card I made with stamps from the Simon Says Stamp Card Kit November 2014. It's made for holding a large printed gift card inside. 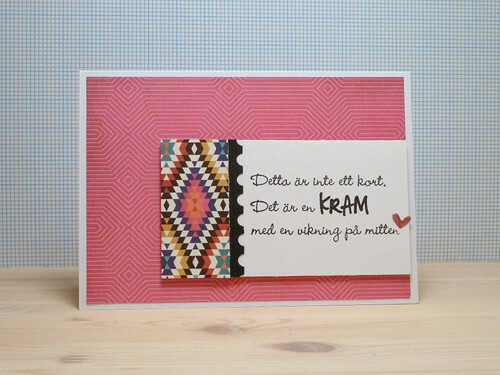 The greeting stamp says Merry Christmas & Happy New Year, and it comes from Forma hantverk. I used different Distress ink colors for the background over the white embossed snow. The trees are stamped with ink from Hero Arts and Avery Elle. I hand cut the snow hills and added some Distress Stickles. 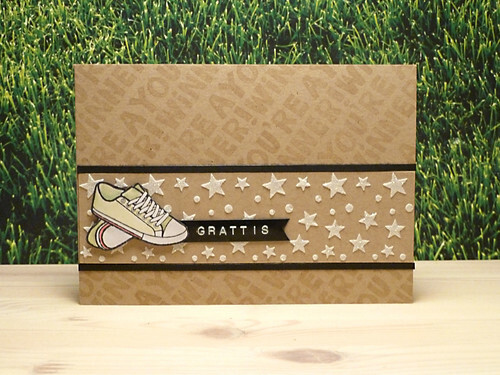 The greeting is heat embossed with Liquid Platinum embossing powder. I also added glitter on the trees with the Wink of Stella clear glitter pen and some red twine. In Simon Says Stamp Flickr group you can find some fun challenges and when I saw the sketch for the Challenge #8, I wanted to try to make a card based on the sketch. 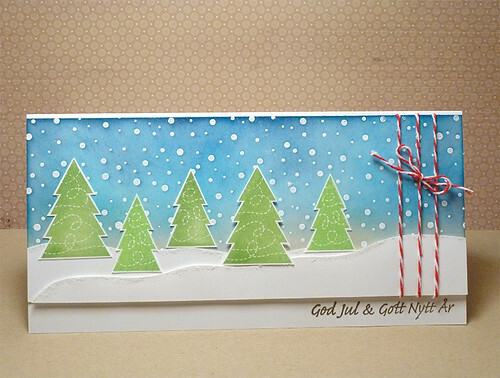 I used a Simon Says Stamp stamp set called Big holiday wishes, it came with an old card kit, December 2013, from Simon Says Stamp. 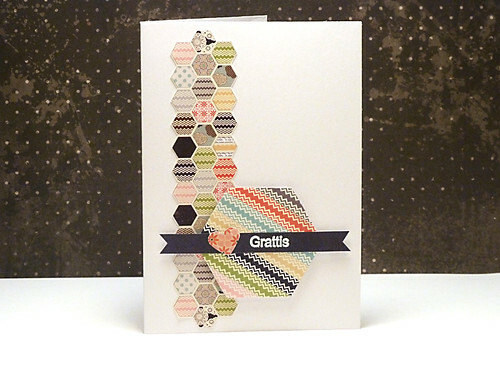 The patterned paper for the banner comes from the Simon Says Stamp Holiday Card Kit 2013. 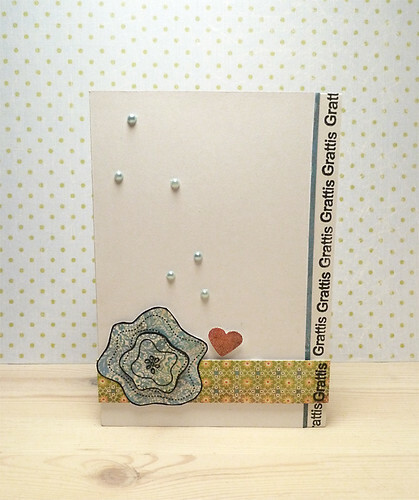 A card made with materials from Simon Says Stamp June 2013 card kit. 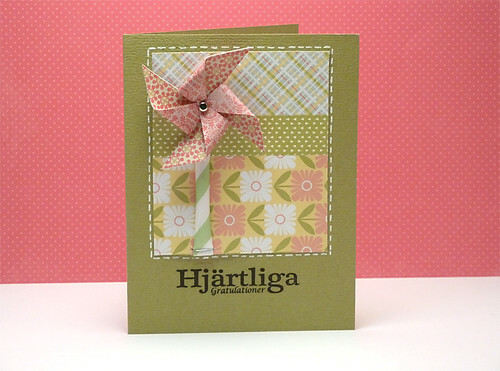 A card I made with papers and materials from the Simon Says Stamp March 2013 card kit. 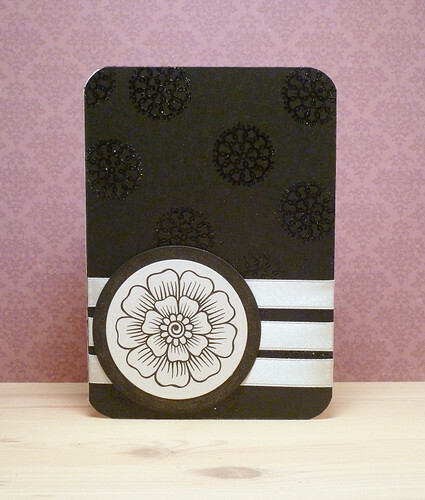 Embossing folder from Cuttlebug, Stylized flowers. Stamp: Hero arts Flowing flowers and leaves. Silhouette cameo for the hearts. 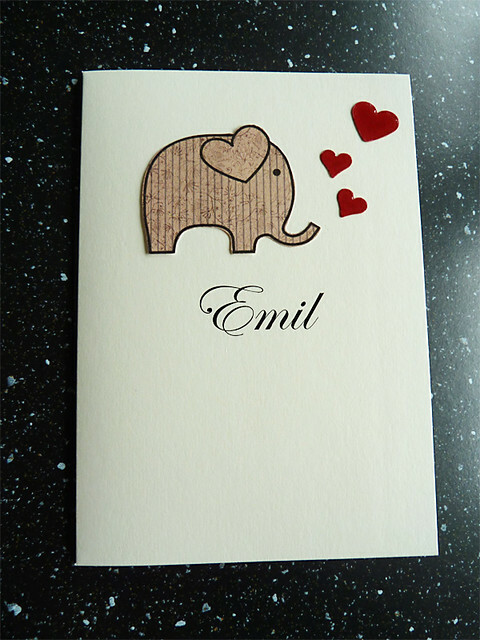 This is an old baptism card I made for Emil. I used a digital stamp from Hero Arts So Precious. I printed the stamp on some patterned paper and added hearts. 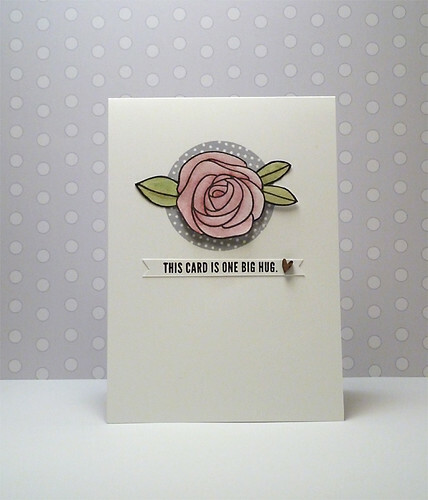 This card is made on a sketch from Sweet Sunday Sketch Challenge 240. 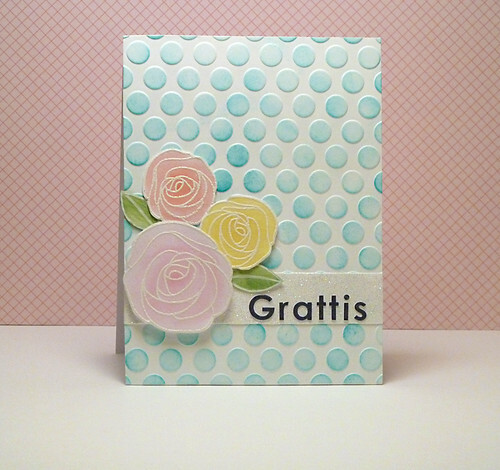 I used a stamp and clear embossing powder for the background and stamp from Altenew for the flower. Added some ribbon. I made this card based on a sketch from Freshly Made Sketches #158. Papers from Simon Says Stamp Card Kit October 2014. 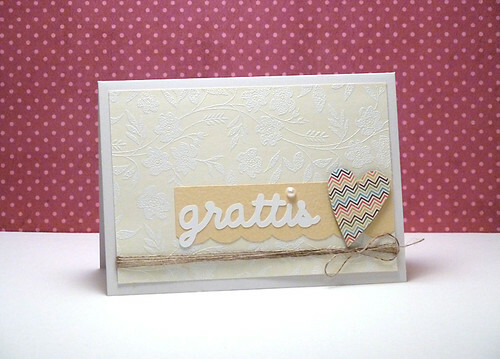 Fiskars border punch, Simon Says Stamp heart die. I tried my new stamps from Wplus9. This card doesn't make the stamps justice. But it was fun using them. I have many ideas for this stamp set. Inks from Hero Arts and I also used some sequins. Stamp: Simon Says Stamp, Landstoken. 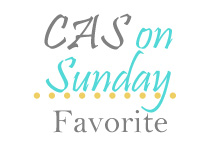 A simple try using the beautiful sketch from CAS(E) this Sketch! blog. Paper: Simon says stamp October card kit. Paper Simon Says Stamp April Card kit. 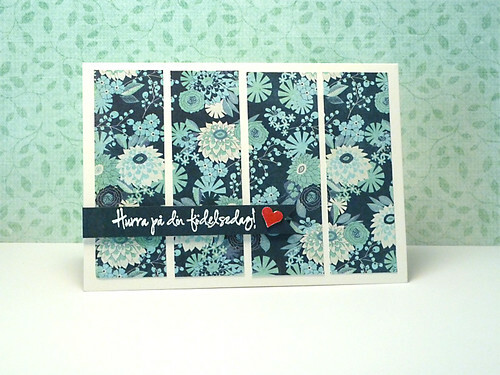 Card made during the Online Card Class, Pattern play. I tried to use a bold patterned paper with ideas from the class. Ink: Versa mark White embossing powder. Stamps: Simon Says Stamp card kit. Ink: Hero Arts, Versa fine, Distress ink. Inktense pencils for the flowers. 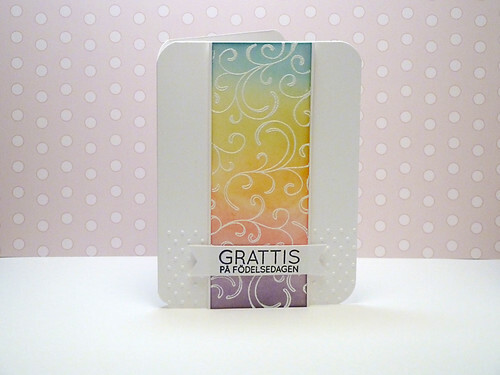 Paper: Simon Says Stamp card kit. 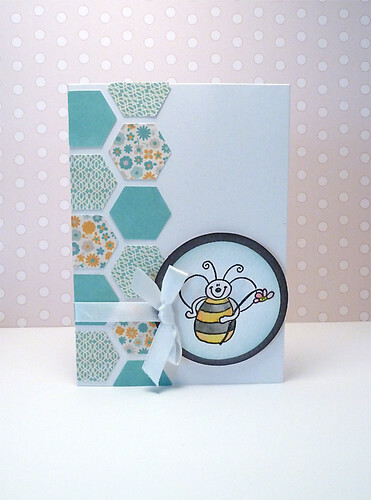 When taking the Online card class, Pattern play, I made this card with papers from a Simon Says Stamp card kit. Glossy accents, pearls, corner chomper. I haven't had so much time for papercrafting lately so I'll continue to share old cards. 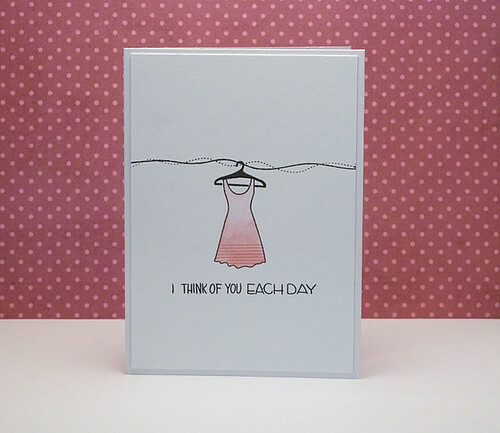 The idea to this card comes from a beautiful card made by Kristina Werner. Ink: Versa mark, Colorbox Chalk ink. 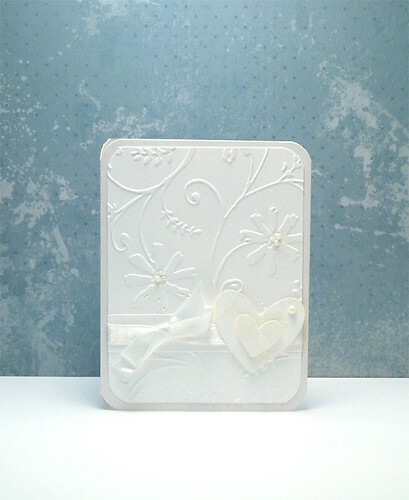 White gel pen, embossing powder. 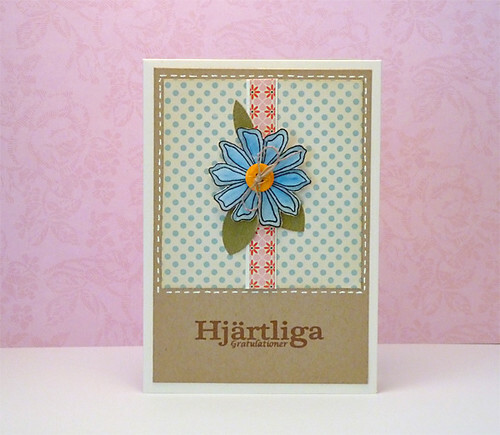 An old card where I used stamps from Landstoken (text), Forma hantverk (flower). I also used colorbox chalk ink for the text and copic markers for the flower. 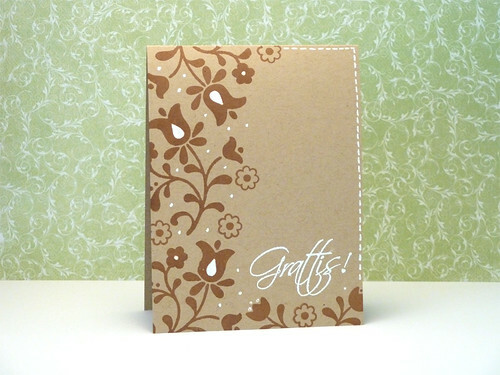 The patterned paper comes from a Simon says stamp card kit. I also used my white gel pen, button and twine. 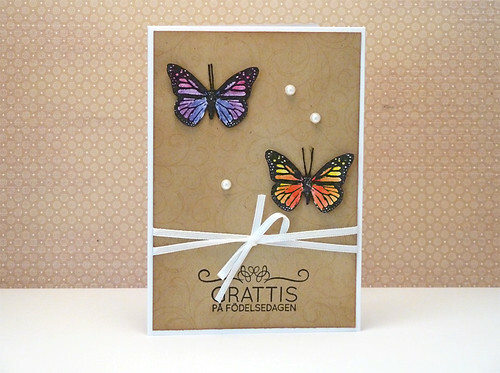 An old card where I used stamps from Hero Arts (background), Forma hantverk (butterflies), Rox stamps (text). I used Distress ink for the background and colored the butterflies with Inktense pencils. I also added som pearls and ribbon. It's been a while since I updated here. So here I share an old card. Ink and colors: Distress ink, Inktense pencils, Memento Tuxedo black ink. Silhouette cameo for cutting the circle. 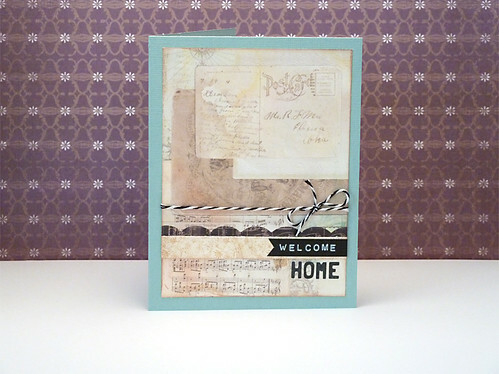 Paper, twine, washi tape: Simon Says Stamp card kit November 2012. 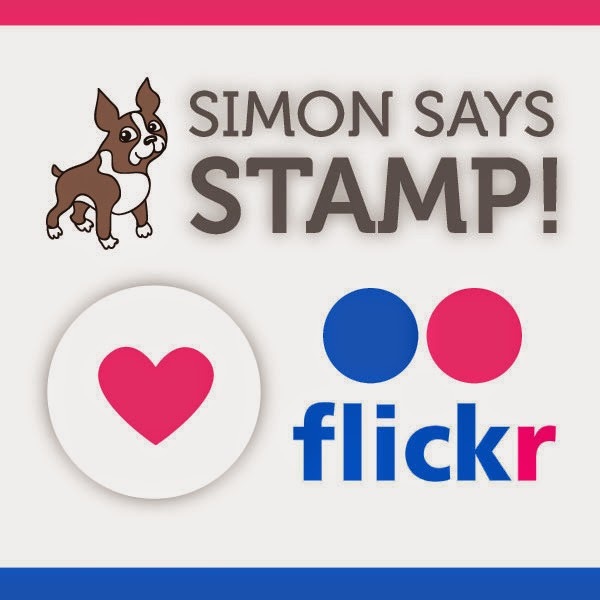 Stamps: Simon Says Stamp, Hero Arts, Landstoken. Paper from Simon Says Stamp card kit October 2012. This is a card made for the Simon Says Stamp Flickr Challenge #2 playing tic-tac-toe. I chose the horizontal row in the bottom, polka dots, flowers and glitter. 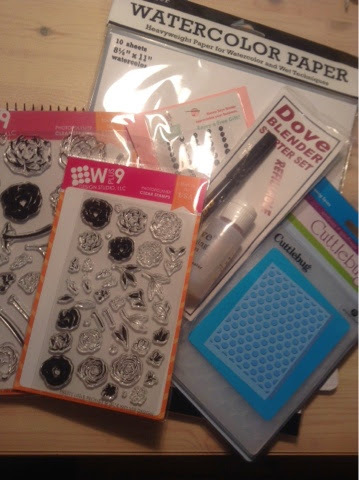 The background is an embossing folder from Cuttlebug and the flowers comes from a Simon Says Stamp stamp set, Best Mom ever. I also used a glitter embossing powder for the panel behind the text. 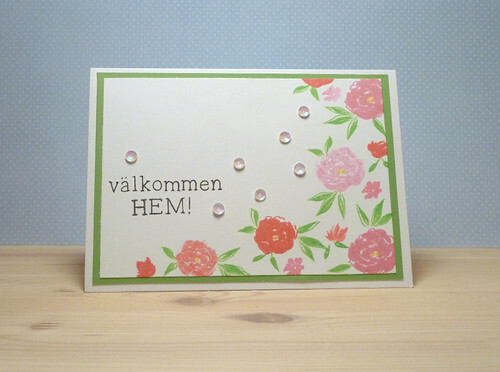 The text says Congratulations in Swedish and I used letter stickers from Kelly Purkey. I colored the flowers and leaves with Distress markers and Distress ink for the background. 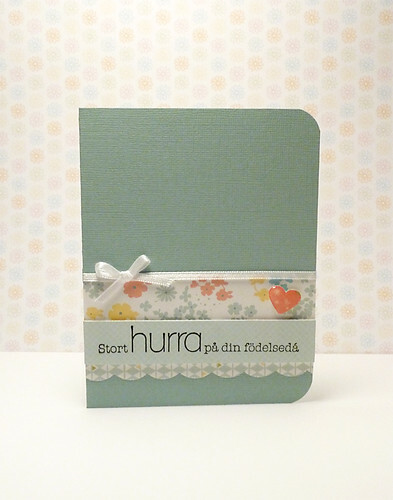 A baby card I made a long time ago. I used the print and cut function with my Silhouette Cameo. 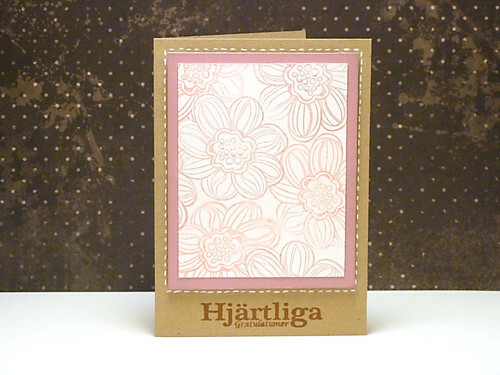 The stamp is a digistamp from Anne bodil. I colored the image with Copic Markers. 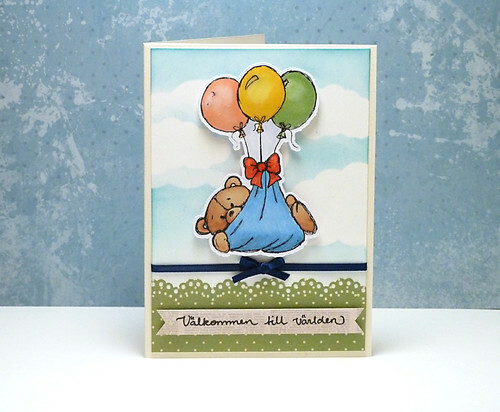 I also used my Martha Stewart punch, glossy accents on the balloons, distress stickles and Distress ink for the background. I know what I want to do this weekend! Yesterday, as a great start on the weekend, I got my delivery from Simon Says Stamp! I hope I'll get some time to play with the new things. 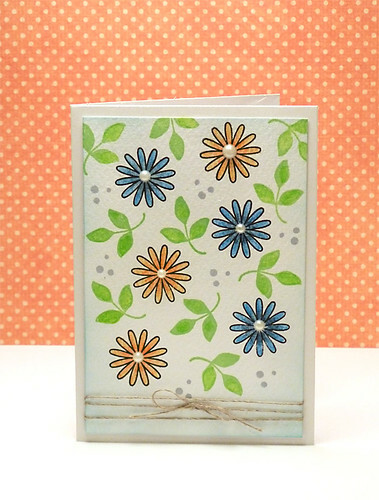 This card is I made based on a sketch from Clean & Simple stamping 307. 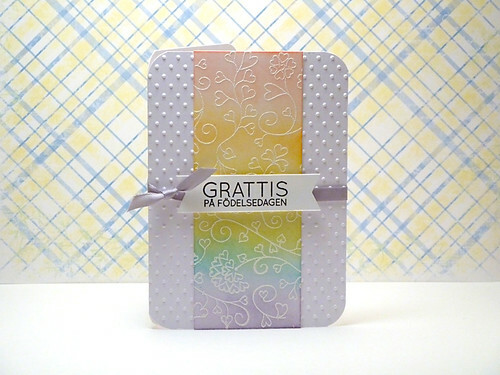 I used stamps from Simon Says Stamp Ice cream dream and Petal pieces and a text stamp from Gummiapan that says Congratulations in Swedish. 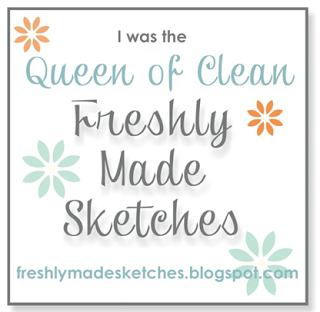 I used Versafine onyx black ink for the text and stamped the rest with inks from Avery Elle. The sequins comes from Simon Says Stamp. This is an old card I made a long time ago, I think it was based on a sketch, but unfortunatelly I can't find it. 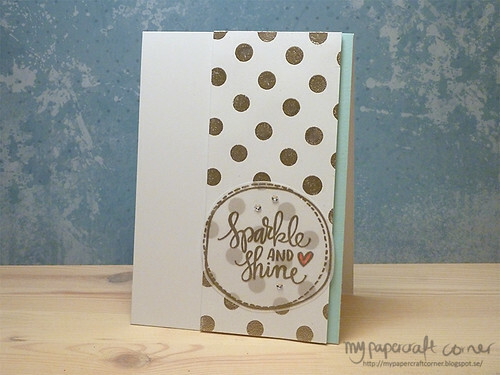 Paper from Simon Says Stamp Card kit January 2013. This is an old card. I used my Silhouette Cameo for the text and the large heart. I also used heart punches and paper from Simon Says Stamp Card kit. I got some time to craft last weekend and I made this card. 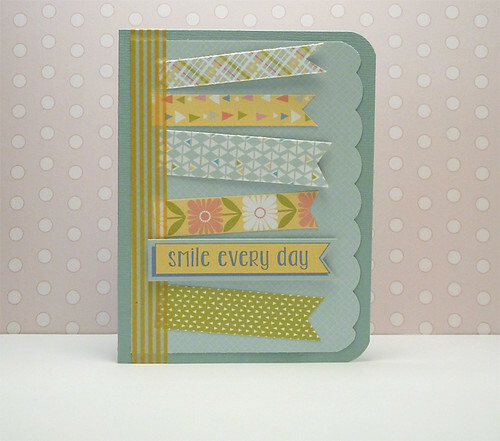 The stamps and stencil comes from the Simon Says Stamp card kit May 2014. I used embossing paste, sparkle embossing powder with the stecncil and Versamark ink for the background. I colored the shoes with Faber Castell Pylochromos colored pencils. 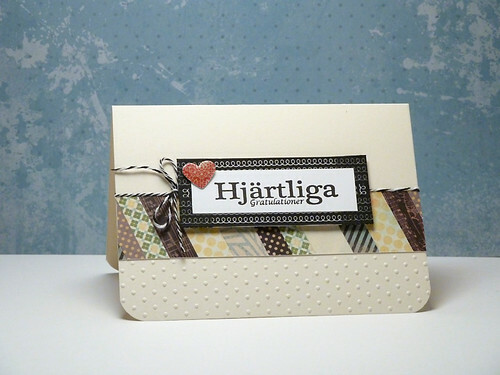 I also used my old dymo label maker for the sentiment, Congratulations in Swedish. I finally got my acetate that I ordererd a few days ago and in the weekend I could finally finish my first window card. 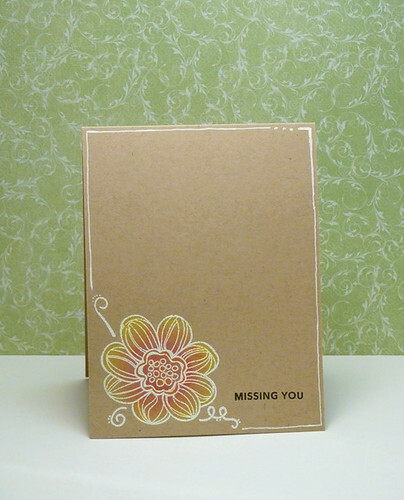 I used paper and the word embellishment from the Simon Says Stamp card kit August 2014. I cut out the window with my circle die and filled the window with some pearls. It was fun making this, I have to do more window cards. 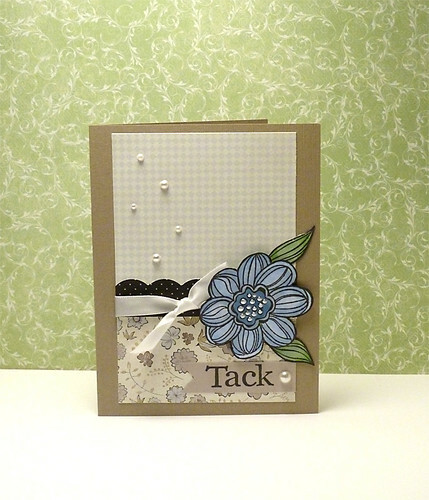 I used patterned paper, decorated the card with pearls and twine. 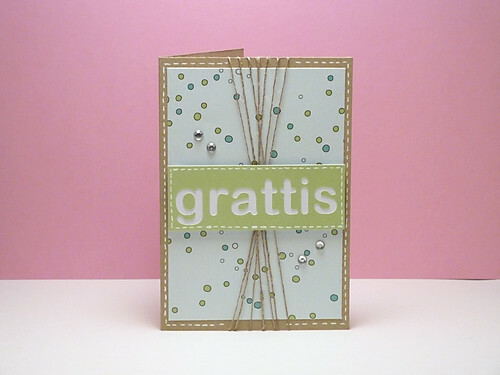 I cut out the word grattis = Congratulations with my Silhouette Cameo and used the negative cut for this card. Online Card Class, Clean and simple 2, day 8. I tried to make a background with rainbow effect using a blending tool and distress inks. 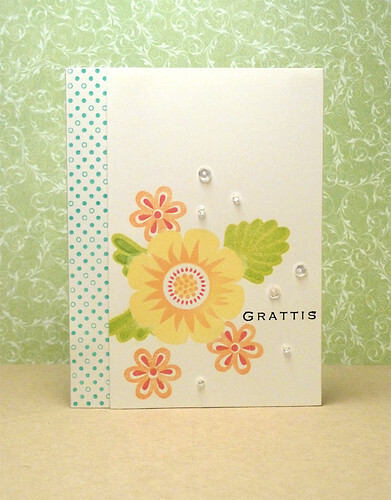 An older card from Online Card Class, Clean and simple 2, day 7. 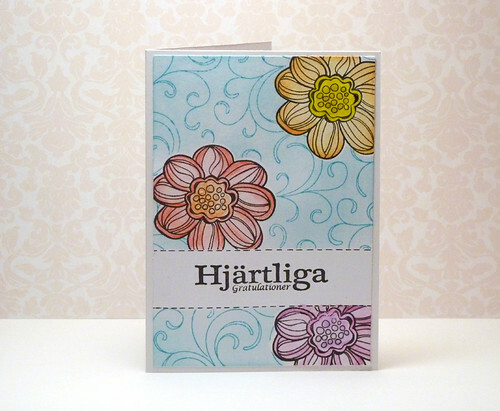 A single layer card using a small stamp to make a pattern. 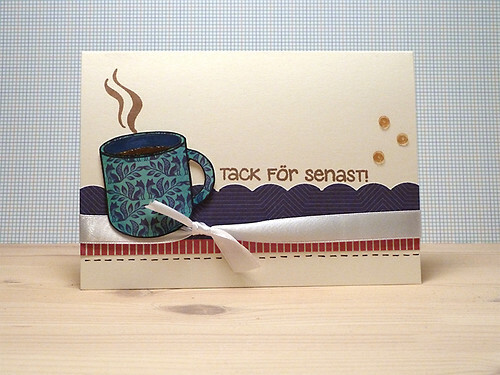 I made this card based on a sketch from Clean & simple 306. 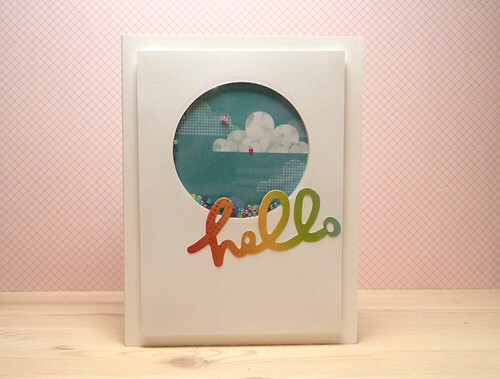 Paper and stamps comes from the Simon Says Stamp card kit July 2014. Ink: Hero Arts, Simon Says Stamp, Versafine ink. I also used Wink of stella clear glitter pen. An older card from Online Card Class, Clean and simple 2, day 6. I used one of the sketches and tried to make a tone-on-tone effect. 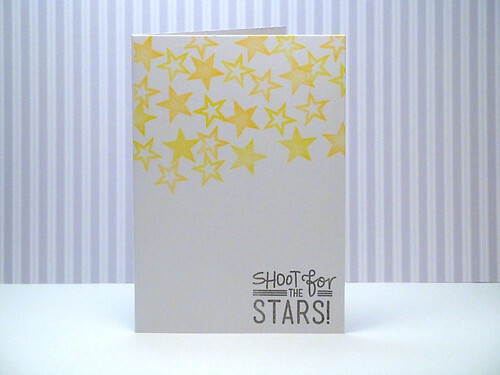 Background stamp: Hero Arts White embossing. 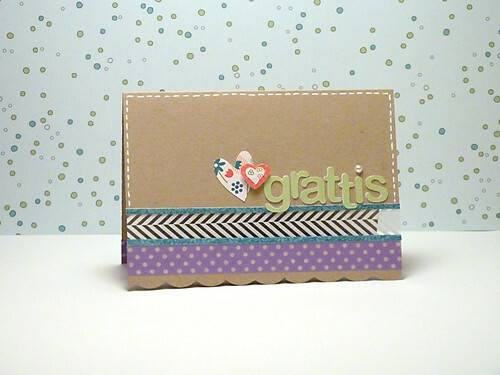 An older card from Online Card Class, Clean and simple 2, day 3. Tried to get a gradiant stamping with the flowers. The result is not really what I hoped for, but it was a try. 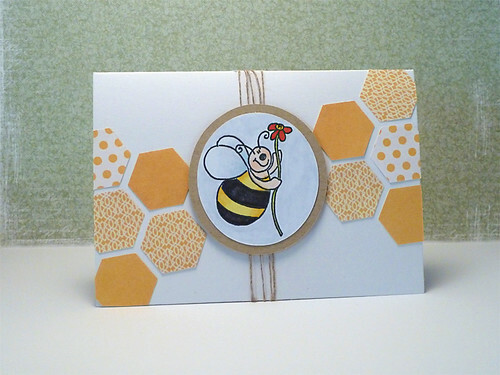 Color: Distress Inks, Versa fine, Inktense for the bee. 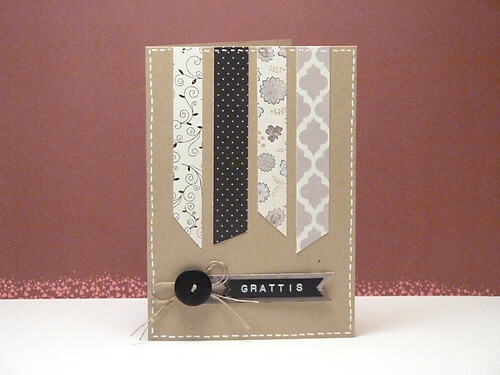 An older card from Online Card Class, Clean and simple 2, day 5. This was one of three ways I thought of using the stamp from Simon Says Stamp. White embossing Stamps: Simon Says Stamp. 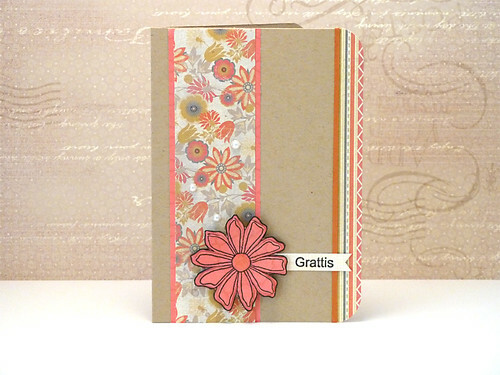 An older card from Online Card Class, Clean and simple 2, day 9. I used the idea with layered washi tape from the class. Ink: Versa fine, Memento Tuxedo Black ink. Colored the cupcake with Copic markers. Distress stickles on the cupcake for some texture. This is also an old card I made for the Online Card Class, Clean and simple 2, day 4. 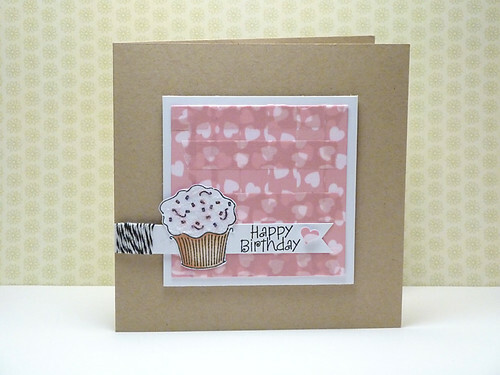 I used stamps from Simon Says Stamp card kit, February 2013. I colored the dress with Inktense pencils and stamped the black images with Versa fine ink.